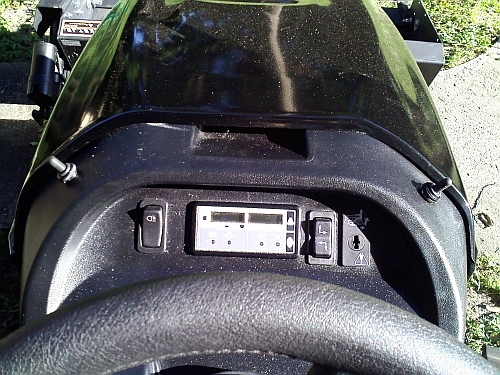 Installs in Minutes After installing the included adaptor hitch and control wiring to the tractor, the Johnny Bucket Jr (JBJr) attaches with just a few clips and pins. Independent Lift The JBJr has it's own dedicated electric lift system. To lift or lower, just press the toggle switch. It couldn't be easier. Leave the Mower on!! Can be left on since the Johnny Bucket Jr. doesn't interfere with mowing deck or it's lift system. Practically Eliminates The Wheelbarrow. Instead of loading the wheel barrow by hand and then having to maneuver it up and around treacherous terrain, the JBJr will scoop and transport any material without, YOU THE USER, ever leaving your seat. Now, you can tackle those big weekend landscaping projects in a fraction of the time and effort. Ease of Lifting and Dumping. 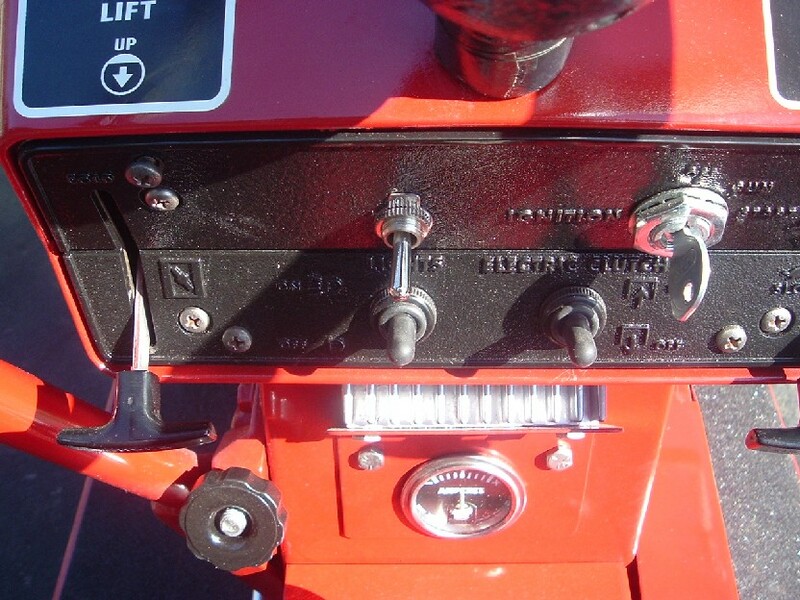 The JBJr Can be easily lifted and dumped with just a press of the included toggle switches. 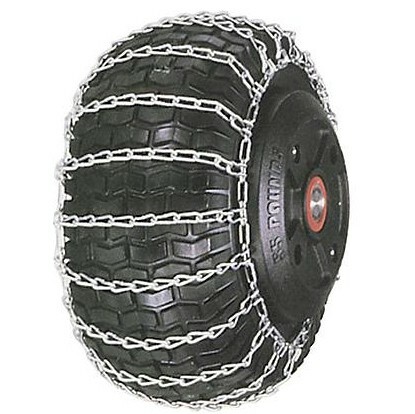 Can Be Used As a Dozer Blade. When in the dump position, the JBJr can be used for pushing, leveling, back dragging and scraping. Approximate Capacity: 2.5 cubic feet. Down Force Pressure : 200 lbs. Not compatible with factory bumper. 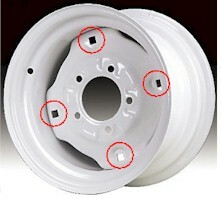 Rear wheel weights are recommended for all Craftsman and Husqvarna Lawn tractors. Item# 07126234000P. Note: They are only sold individually so you must buy two. CLICK HERE to purchase from Sears and pickup locally with free shipping. 2018 and up TS3xx series such as TS348 etc. All prices are subject to change without notice and does not include taxes if you're a WI resident. Additional shipping charges for non mainland USA and international will be added after this purchase. Note: AZ, CA, FL, ID, NV, OR, UT, TX and WA states will be charged an extra 25% shipping surcharge (FOR EXAMPLE.... Shipping $$ X 25%= shipping & surcharge total). All major products are custom built to order. Please allow 3-4 weeks till we ship, 3-4 weeks till we ship, 3-4 weeks till we ship, 3-4 weeks till we ship, 3-4 weeks till we ship, 3-4 weeks till we ship, 3-4 weeks till we ship, 3-4 weeks till we ship, 3-4 weeks till we ship, 3-4 weeks till we ship, 3-4 weeks till we ship, 3-4 weeks till we ship, 3-4 weeks till we ship...... Sorry for the repeat but some customers were still not seeing it. Remember...."The Early Bird Gets The Worm"... Buy ASAP and plan your projects accordingly. 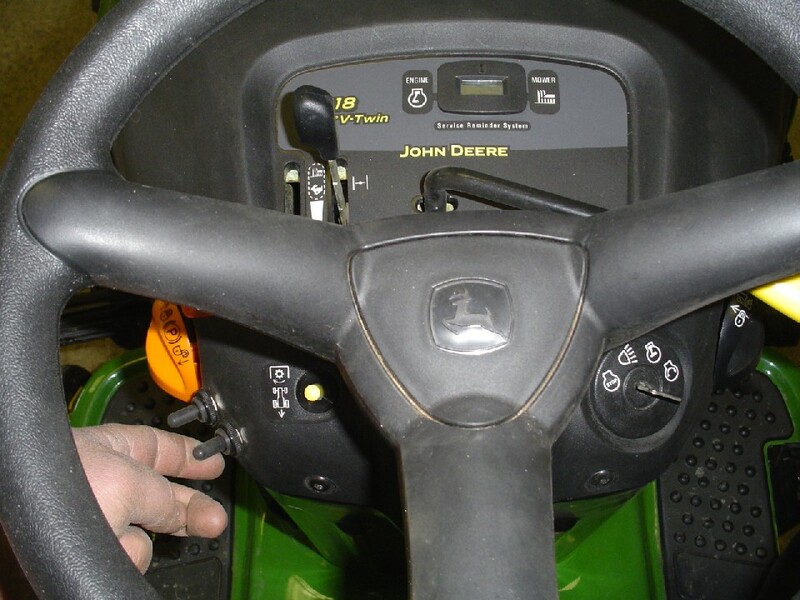 Enter your tractor make, model and other requested information. GT5000, GT6000 etc.. Note: We might have missed a compatible model so please ask if not sure. Model# on "model serial / label under the seat"? Under the hood or under the seat? Special Instructions? 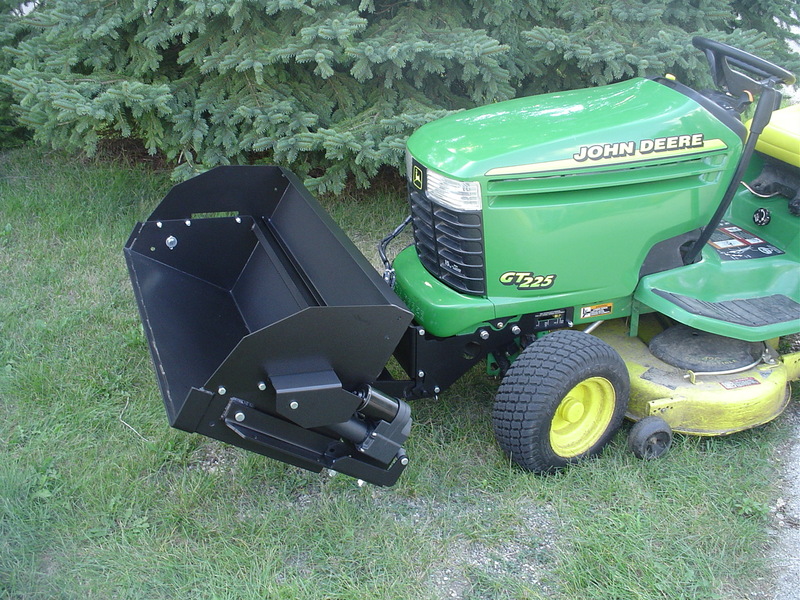 Buy both and save $50 on the Johnny Plow Jr.
How much faster is the 2X Turbo speed actuator? : It's twice as fast as the STD speed actuator. Does the Johnny Bucket angle? : No, plows only angle. Is there a manual angle plow ? : No, our plows are only power angle. If I buy both the bucket and the plow, do I get do an additional 3rd actuator to angle the plow? : No, when using the plow, you must remove the dump actuator and install it on the plow for power angle. Can I buy only the plow without the bucket? 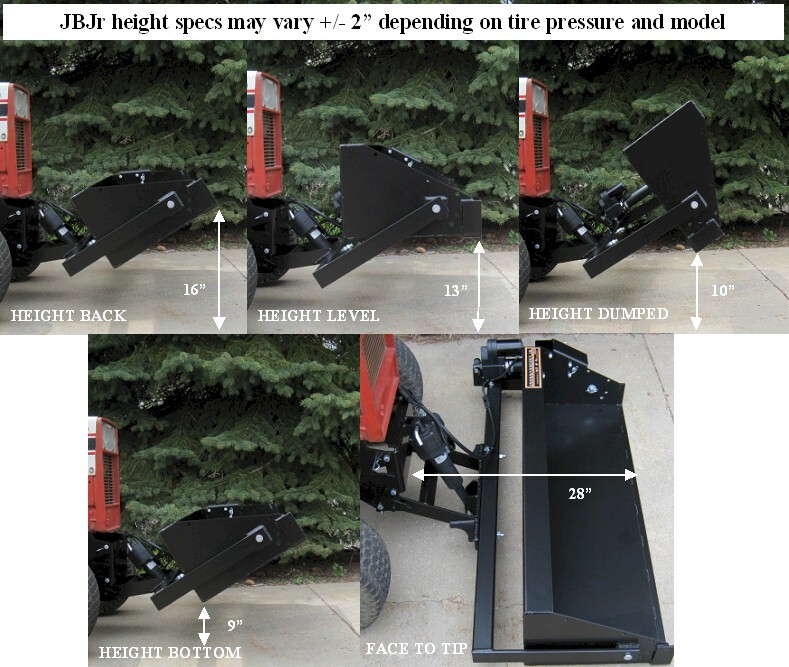 : Yes, just select the Johnny Plow System in Step 2 which includes all the adaptors, actuators and electrical components. DO NOT Purchase from this page if you ALREADY OWN a Johnny Bucket or Plow. Bucket Doubler -Add $135 + $25 discounted shipping with JBJr purchase. * Doesn't interfere with any other attachment and detaches easily with quick pins. 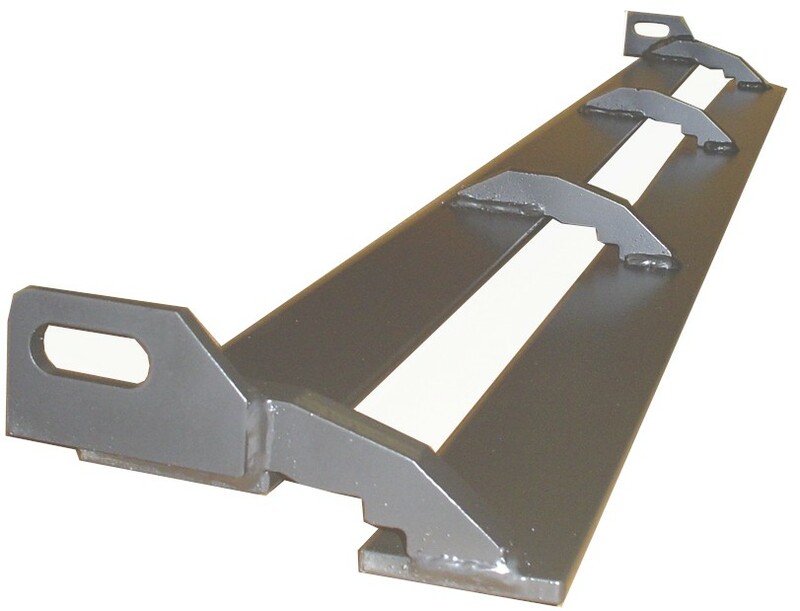 Universal 4x Front Weight Bracket -Add $85 + $10 discounted shipping with JBJr purchase. Attaches directly to the front of the JBJr adaptor hitch and is designed to use with up to four of the John Deer 40# suitcase weights (not included). 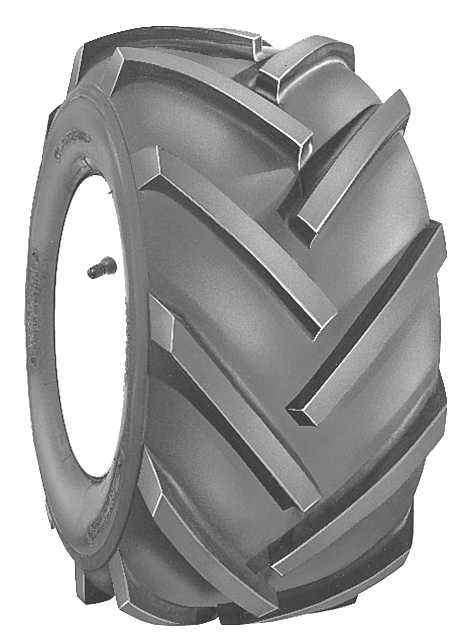 Purchase Wheel Weights: Rear wheel weights for any tractor with 12" rims with bolt holes. 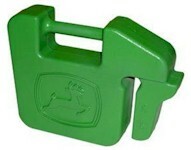 Even though these weights are sold by Sears, they are universal and will fit many other tractors. Item# 07126234000P. Note: They are only sold individually so you must buy two. Notes before purchasing: Plastic Enclosure for Joystick Add $12 4-3/4" x 4-3/4" x 2-1/4" deep. If you're not sure if there's enough room on or behind the dash, please get the box and play it safe so you can finish the installation easily. There are no designated places to install the joystick upgrade. This upgrade is completely up to the installer to figure out on there own. If you're not comfortable with this DIY (do it yourself) option, please don't buy it and just use the included JBJr toggle switches. If you want to mount it on the fender you will need to lengthen your own wires. 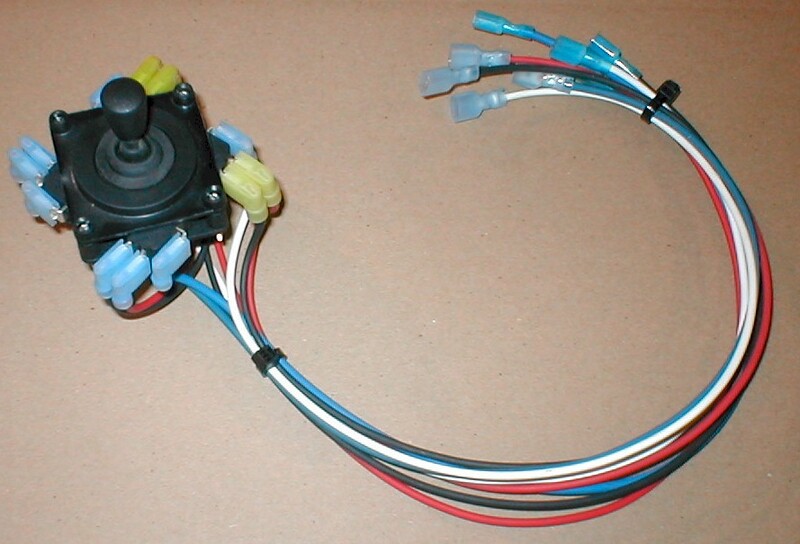 Our wires were made to get you up to the dash in most cases. We wish we had examples of installations for all the models we sell for but sorry we don't. There are hundreds of ways to do it. Plastic Enclosure for Joystick Add $12 4-3/4" x 4-3/4" x 2-1/4" deep. Rubber Blade Flap - Add $35.00 Keeps the snow from flying in your face. 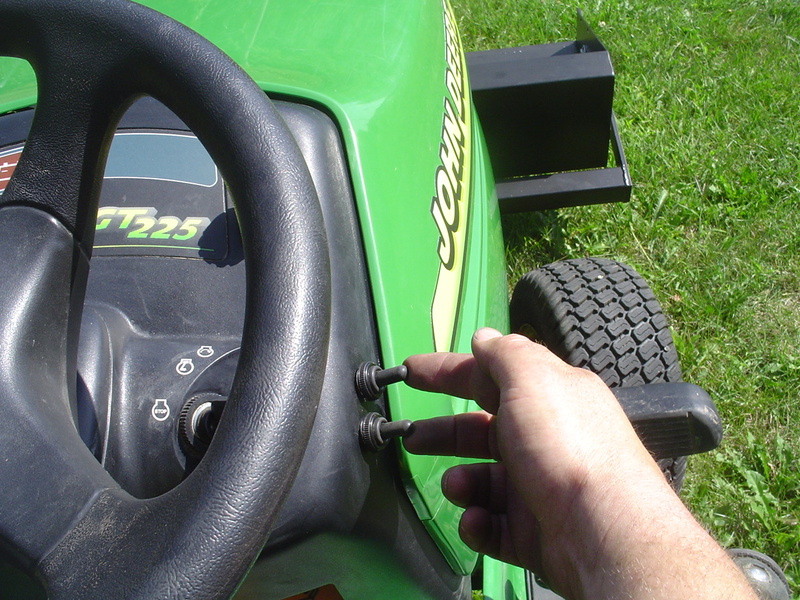 From a Fluid Film customer "I wouldn’t trust anything other than FLUID FILM to protect my mowers and vehicles. 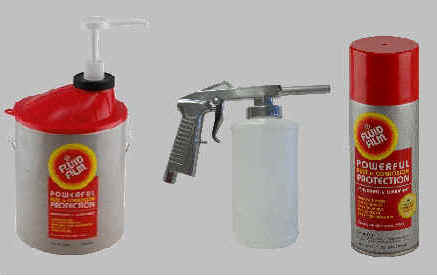 It protects my trucks, trailers, and lawn mowers from rust and corrosion. I also love to use it as a lubricant in my leaf vacuum, on my garage door rollers, on the snow plow and snow blowers, or anything else that has moving parts. 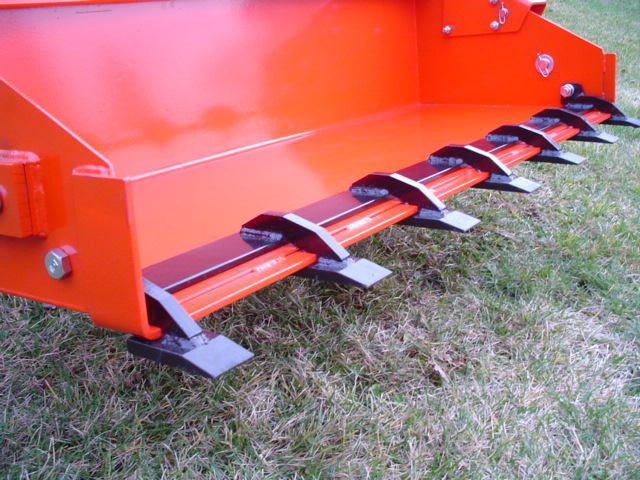 It works great to protect the underside of my mowers and greatly reduces grass buildup! The best part is that it is non-toxic so it does not hurt plant material when I use it on my mowers, hedge trimmers, etc."